Only after people have been instructed in the central article of Christ and justification, is any true reform possible. 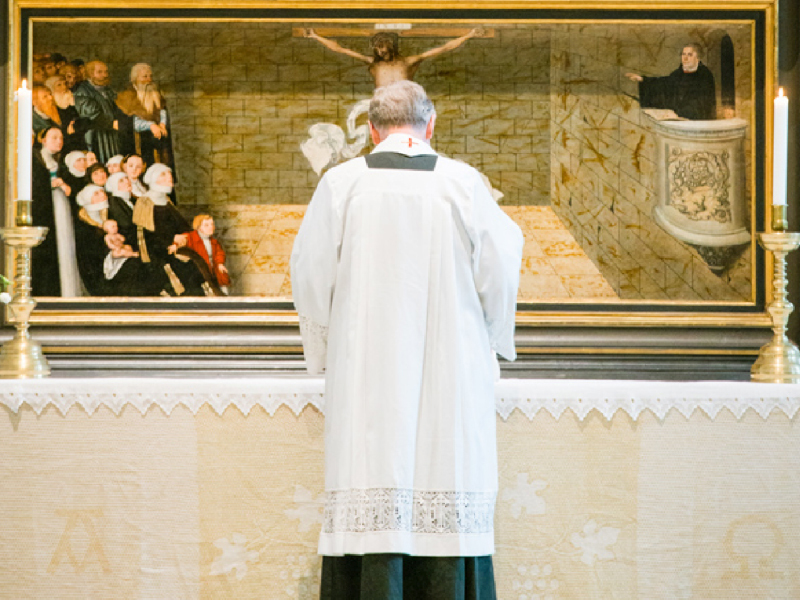 Thus for Luther the confession of the person and work of Jesus Christ—His justification of sinful humanity—forms the heart of theology, and informs all of the Church’s confession and practice: it is the heart of the Church and it helps to shape and order the confession of the Church. 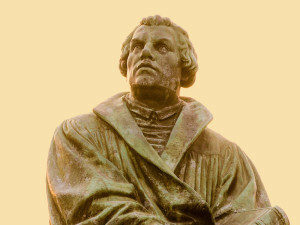 The centrality of the confession of Jesus and His work and its relationship to the whole of the Church’s confession is not simply an quirk of Luther’s own thought, but it becomes a hallmark of the Lutheran Church. In fact, the interrelationship of the person and work of Christ to the entirety of the Church’s confession shapes and structures the preeminent Lutheran text, the 1530 Augsburg Confession. The Augsburg Confession begins with two preliminary articles on the Triune God and the nature of original sin (A.C. I and II). From here Philip Melanchthon, the author of the Augsburg Confession, directly moves to the person of Jesus Christ (Article III: Of the Son of God) and Christ’s proper salvific work (Article IV: Of Justification). At the forefront of the Augsburg Confession is a dual profession of faith in the person and work of Christ: “they teach that men cannot be justified before God by their own strength, merits, or works, but are freely justified for Christ’s sake, through faith. . . This faith God imputes for righteousness in His sight.” Christ and the salvation won by Him are front and center in the Augsburg Confession. The Reformers see that there is an integral relationship between who Christ is and the work that He accomplishes. The Church’s confession follows this pairing of Christology and justification. To confess Christ also means to confess His justifying work. 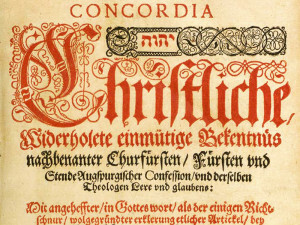 For Melanchthon and his fellow confessors of the Augsburg Confession the articles of Christology and justification are connected to the article on the Holy Ministry—and its points of connection are Christ and faith. Jesus is the one who has established the holy Office, and Christ has instituted this office for the purpose of faith; that is, the Holy Ministry is the means that Jesus uses to create faith through the preaching of His Word and the administration of His holy sacraments. This purpose is evident in the German term used for the office: das Predigtamt (the preaching office). 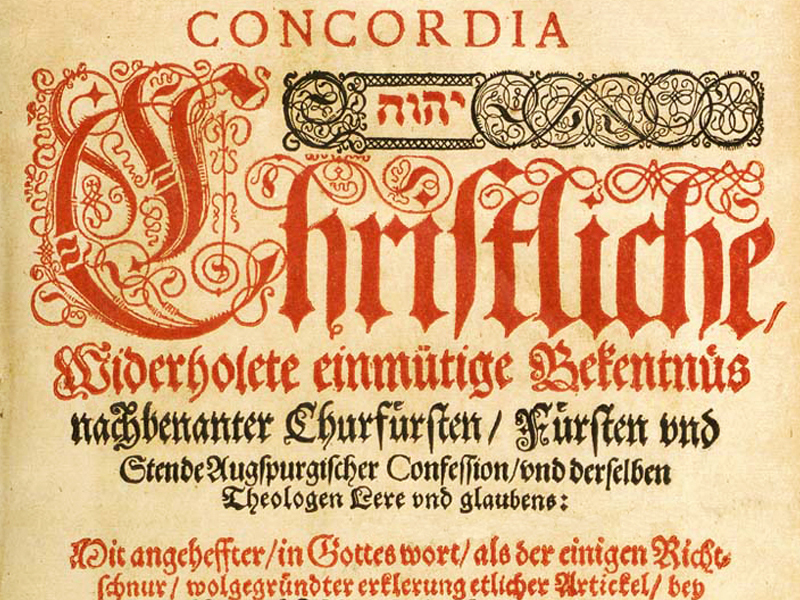 The ordering and connection of the articles of faith that was seen in Luther is also present in the Augsburg Confession. The Augustana is not arranged in a haphazard or arbitrary manner. On the contrary, Melanchthon presents a unified confession of Christ, justification, faith, and the Office of the Ministry. Order is important: Jesus is first. Christ and His justifying work are always chief. It is Christ who justifies. 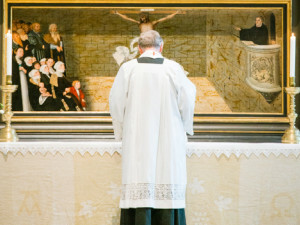 To Christ and His work is joined the Office of the Ministry, as the means through which this faith in Christ and His life-giving work is distributed. The Office of the Ministry—through the preaching of the Word and the administration of the Sacraments— is the tool that God uses to bring one into the relationship of faith in Jesus Christ. The ordering of articles III, IV, and V in the Augsburg Confession is not immaterial. Our Lutheran Confessions and our Lutheran Fathers confessed Christology, justification, and the Office of the Ministry together. To be Lutheran, to join in confessing the Augsburg Confession, thus means to participate in jointly understanding and confessing together Christ, His work, and His Holy Ministry. The Reverend James Ambrose Lee II is the assistant pastor of Trinity Lutheran Church, Worden, IL and doctoral candidate at Saint Louis University. This entry was posted in Uncategorized on July 16, 2016 by Pastor Jim Driskell, Lutheran Church.